WARNING: Be prepared for colour! since my hair transformation last week, Ive decided that i have been wearing too much black and dark colours and that its time to add some bright colours to my wardrobe. There is so many amazing plus size clothes around at the moment that are so bright and colourful, its like this whole new world for me. 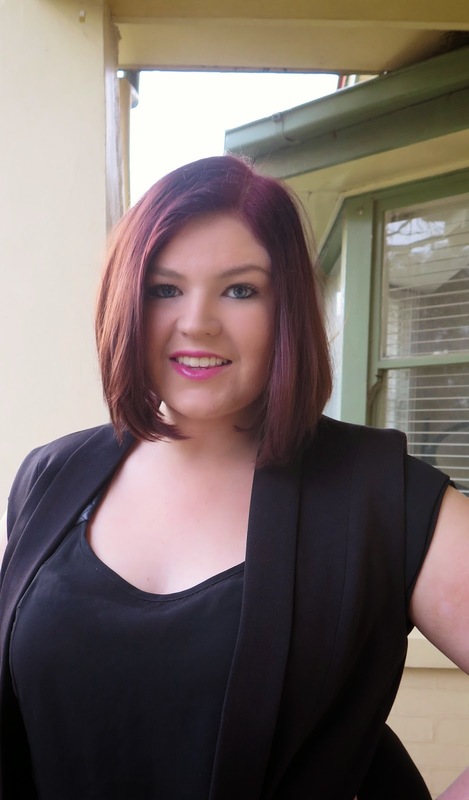 Im a big fan off the Boohoo plus size range, they have so many great stylish clothes and fashion forward colours. Also not to mention they are not too expensive so you can splurge a bit more! Im so attracted to bright pinks, blues and lime greens! so i wanted to find some pieces that had these colours in them, They are so much fun! 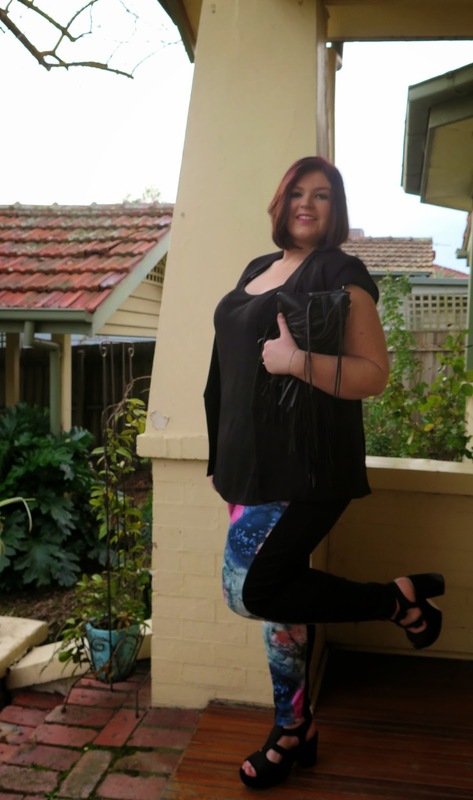 I saw these amazing Kara Floral leggings on the boohoo website and i couldn't resist them! 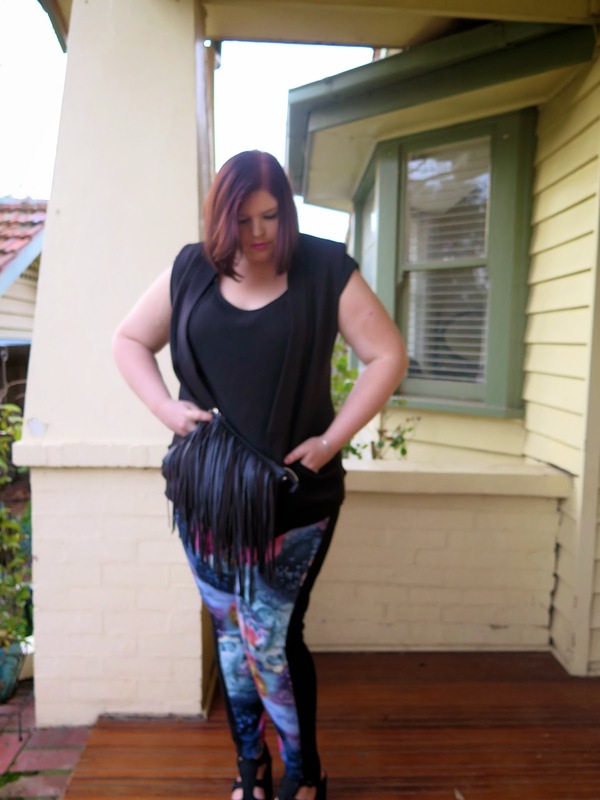 They are so colourful and are such a fun piece to add to any winter wardrobe! Purchase these legging's from the Boohoo website just click on the link below! 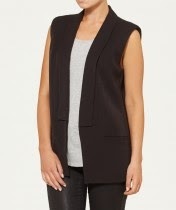 I paired the leggings with my newly purchased sleeveless blazer size 16 from Sportsgirl! They have an amazing sale on at the moment and the jacket comes in black and white. The Shirt is from City chic, its called the Quilted Shoulder Top! I get so much wear out of this top because its longer and its made from a non clingy fabric, its perfect to wear over jeans and leggings and to go under jackets. A perfect staple for the wardrobe. 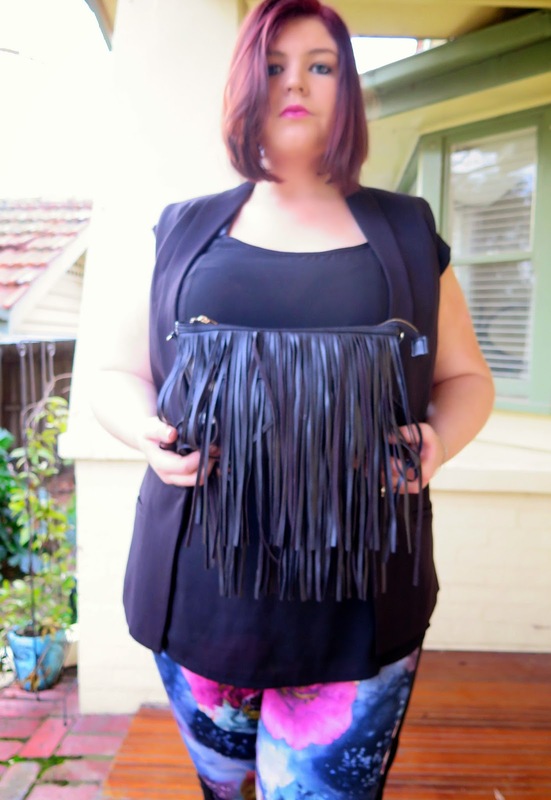 Also my most loved fringe bag is from Kmart! Its so easy to dress up any outfit and give it that quirky edge! I love fringing so much! I hope you have enjoyed my new colour inspiration! Everyone needs colour in their life!